there were only 70 left! there now are almost 40,000. 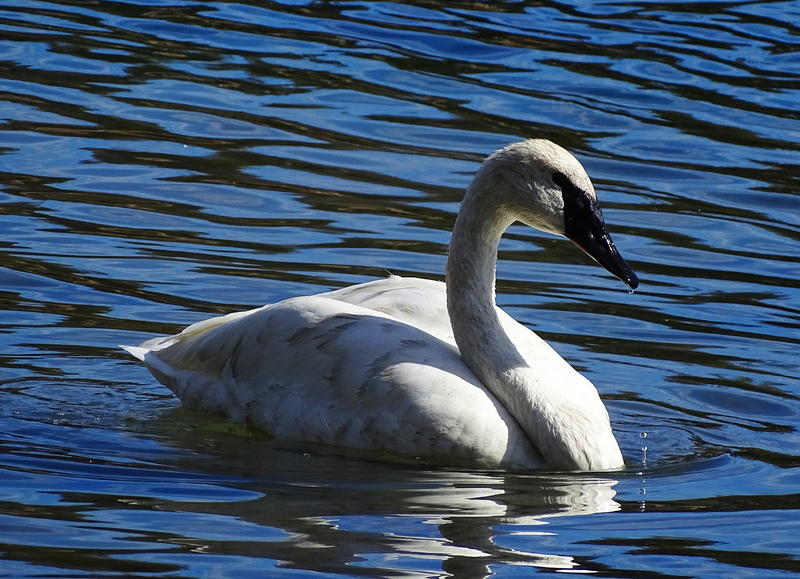 Note: Trumpeter Swans are the largest swan in the world with wingspans reaching over 3 meters. 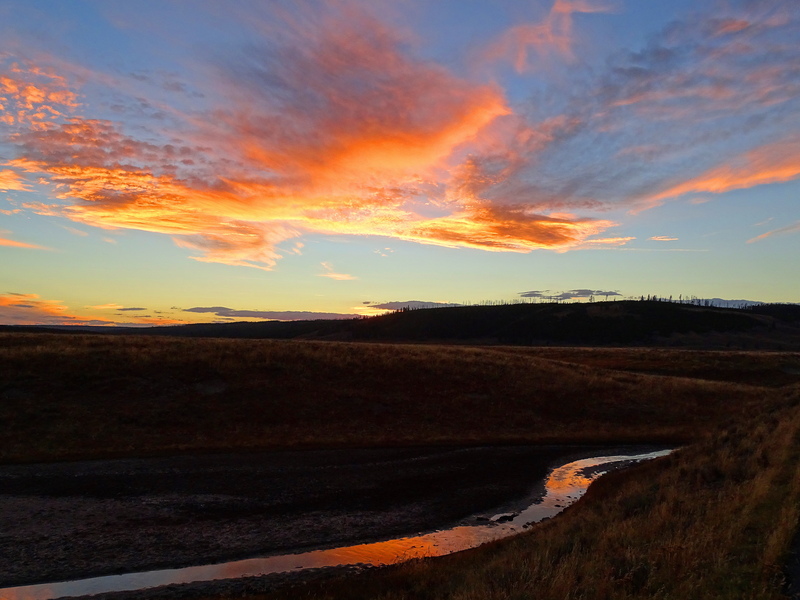 In 1933, because of extensive hunting, there were only 70 left. They were on the brink of extinction. 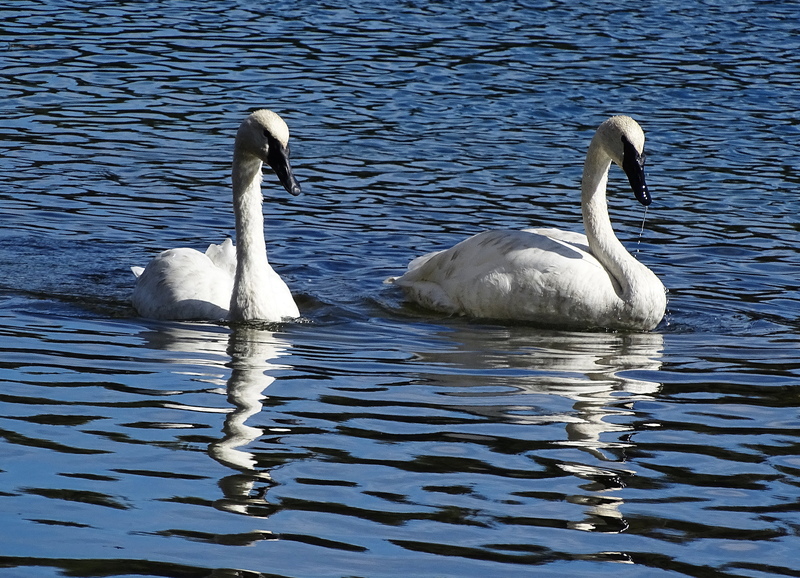 A breeding population was discovered in Copper River Alaska that was used to reintroduce swans to their native environments. 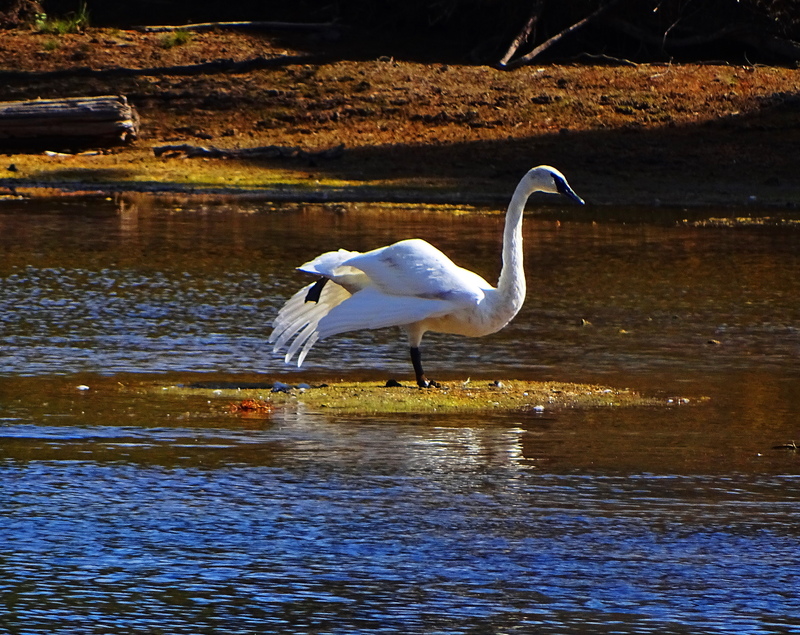 Trumpeters require pristine habitats, today they are threatened by habitat degradation. 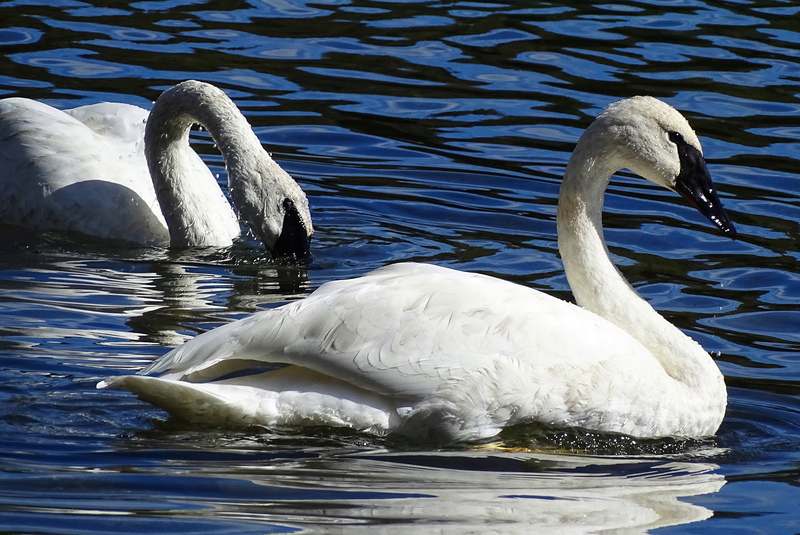 These swans were photographed in their year round home in Yellowstone National Park. 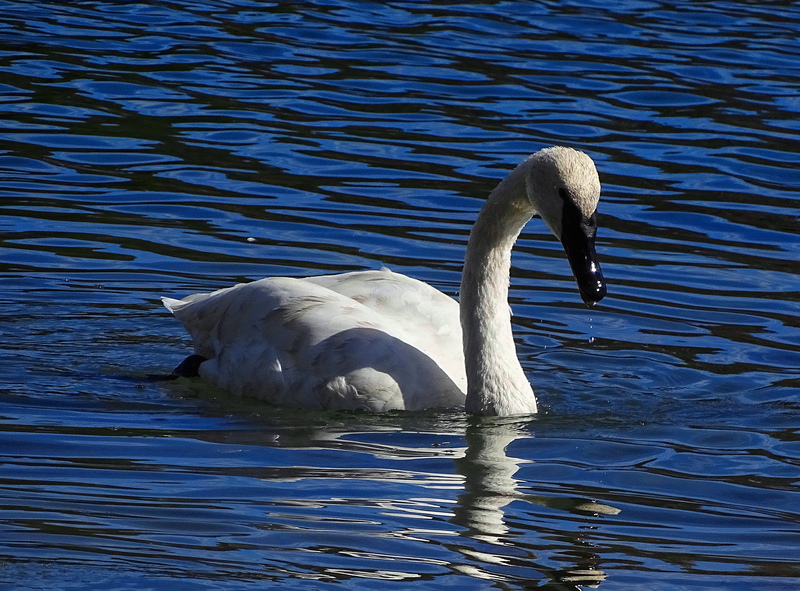 The water in The Yellowstone River has thermally heated areas that allow the swans to survive the harsh Wyoming winters.